Roofing Contractors Indianapolis | Jackson Contracting Inc.
What is so Great about US? We have experience with a wide variety of roofing systems including slate, wood shake, standing seam metal, Decra metal shingles, asphalt shingles, TPO and rubber roofing. From residential to commercial, we can handle any project. We produce our own metal roofing panels on the job-site and our in-house metal fabrication shop makes all our metal roofing trim in our Bainbridge shop. Our salesmen stay in contact with our customers the whole way through the job. We have the experience and are continually learning new techniques to make our products the best they can be. Our crews are all specialized in their trades and help to ensure the we deliver on our promises. Jackson Contracting has been in business for over 10 years within the Indianapolis area. We are a trusted name in the roofing industry, with both previous and current clients able to vouch for who we are, what we stand for, and the quality with which we operate. Because we rely heavily on word of mouth to grow our business and further develop our reputation within the Indianapolis region, we know just how important customer satisfaction really is. It is simply not enough to sell a good product or install it properly. Our commitment to our clients extends far beyond the materials and services we provide, and includes how we explain the projects you have hired us for and how we interact with you, your family, and your neighbors while carrying them out. Our response time is a key part of the services we provide to all of our clients. As such, we strive to answer your calls, emails, facebook messages, and all other manners of inquiry in a timely fashion. Your ability to reach us, and reach out to us comfortably and confidently is what we want for you, our current and potential customers alike. Jackson Contracting knows that clients who feel ignored, unattended, or brushed aside, are far less likely to ever seek out our services. We do not want that for you and we do not want that for us. Jackson Contracting is licensed, bonded, and insured. We do not send just anybody out to install a new roof or repair an existing one. In fact, we have credentials years of experience within the field. Additionally, our roofing company,is able to support your roofing needs in residential, as well as commercial settings. We want you to trust us and we have the years, expertise, and certifications to prove why you can and should. Get asphalt shingle roofing, window replacements, siding, and more with our superior residential roofing services. We offer many commercial roofing services, on all types of roofs and are committed to quality that lasts. Our made on-site standing seam metal panels and custom made trim are a great solution for a residential or commercial roof that lasts. We have experience with a variety of specialty roofing for your home. If your roof is approaching the end of its useful life, or if it has been damaged from hail, ice dams, or other weather-related events, then it is probably time for a full roof replacement. There are many reasons that your roof may need to be repaired such as old age, severe weather conditions, improper installation, wild animals, debris, etc. Interested in premium roofing for your Indianapolis, IN home? Speak with the roofing contractors at our company to transform your roof today. 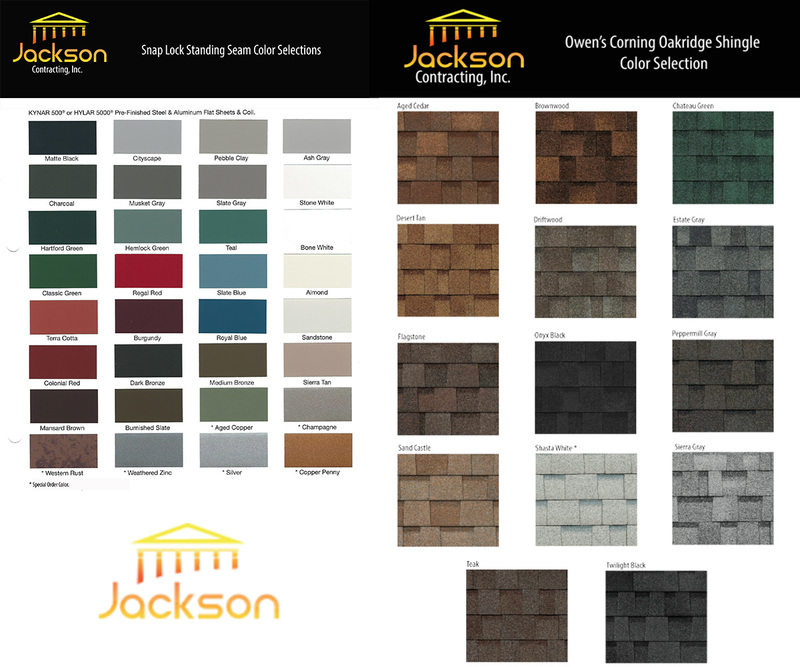 Although Jackson Contracting, Inc. is primarily known for providing fantastic roofing services and products to their customers, customer service is also a huge focus and something that is handled with extreme seriousness. Because our clients are a big focus, we ensure that we go above and beyond for them, this is so we can exceed all of their roofing expectations. Wonderful roof services and customer service can be achieved with the help of Jackson Contracting, Inc. a business that is with our customers every step of the way. Get premium roofing in Indianapolis, IN by calling 317-214-8124 now to set up an appointment time with one of our roofing contractors. We are ready to improve the look and safety of your home. Are you looking for a local roofer in Indianapolis, IN for your home or business? Jackson Contracting is the roofing company to call. For years, we have been providing the Indianapolis area with superior residential and commercial services. In addition to traditional residential and commercial services, we also offer metal and premium roof services, as well. Our roofers specialize in customizing metal roofing and can fabricate a metal roof that will exceed your expectations. Jackson Contracting is not limited to one type or area of roofing. Whether you need shingles, metal roofing, premium services, or a sturdy roof on a beloved home, Jackson Contracting can be of service. We are trained and qualified to do new installation and repairs in each of these areas, and strive to provide you with quality service no matter the project. We will meet with you to discuss what kind of roofing you are interested in, your price range, and the roofing materials that will serve you and your home best. We factor in style, practicality, and durability before making an offer you are satisfied with. Additionally, Jackson Contracting always make sure that our contractual agreements are recorded in writing, so that everyone involved knows what their responsibilities are. Our commitment to quality roofing extends beyond residential and private homes. In fact no matter what type of business you have, we can ensure that your building’s rooftop is protected against midwestern storms, assorted other elements, and keeps your business safe, secure, and protected from the top, down. Jackson Contracting loves metal rooftops for commercial roofs because of their durability and endurance. Metal roofs can help increase your property value as well as protect your rooftop for decades. All of that said, we are happy to discuss metal as well as other types of roofing materials, such as TPO, PVC, rubber roofing and retrofit systems for your commercial roof. Many times your building, budget and need help to determine the best choice for your commercial roof. The beauty of premium roofing, such as slate, stone coated steel shingles and wood shake, is that it not only features the sustainability, weather resistance, and staying power of other types of rooftops, but offers just a little more of everything. 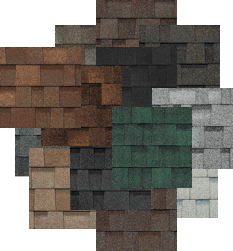 Specialty shingles, as well as custom and made- to- order rooftops, can add to the curb appeal of your residential or commercial rooftop, and make your property stand out in all the right ways. Metal roofing is the most common type of roofing material requested by residential and commercial property owners alike. What makes the metal provided by Jackson Contracting so unique is the wide variety of shapes and colors it comes in, the skills with which we can install and repair metal rooftops, and the confidence we have in the quality of all of the metal products we provide. Whether you are looking for roofs made of aluminum, copper, steel, or several other metal types, you can feel safe knowing that Jackson Contracting is here to meet your individual metal and roofing needs. The roofers at Jackson Contracting look forward to meeting with and speaking to you about any and all inquiries you may have about roof repairs and installation. Well as of now Ive had my metal roof for almost a year now. And i absolutely love it. Not one problem and it looks great and so glad i went metal.Cody got me thru the proscess and made the decsision easy Jackson Roofing had the lowest bid and the crew did a wonderfull and exciting job. Thanks again for the great job guys. High quality work done on time! Jackson Contracting placed a new metal roof on our cabin, it’s absolutely beautiful and exactly what we expected! Great job! Great customer service, love my new metal roof and new siding. All around great company/people to work with. Jackson put a metal roof on our 100 plus year old farm house and I can’t say enough positive about the install. Jonathan and his crew where here on time and did a fantastic job in less than two days. It’s been a year now and no problems and still looks fantastic. If you would like to see their work and live in Hendricks County contact Jackson and drive by and see for yourself. Cody was very informative and made sure we were aware of our repair options before beginning work. Once we decided on Jackson Contracting for our roof repair, Cody was prompt, thorough, and did a great job following up once the job was completed. I will keep Jackson Contracting in mind for any future roof repair needs. Had them install standing seam roofing on 2 cabins at different times. Each time they started early morning and were done by noon. These guys work fast and efficient together, left no mess, did an excellent job on roofs. They arrived when scheduled. They have a trailer with a machine that rolls the roofing material out onsite which makes very little waste. Cody the salesman was friendly, accommodating, and easy to deal with. Very pleased with my new roofs! They did a wonderful job on our office roof! Only took them 1 day.We had them come back and do our warehouse and shop roofs as well.Would highly recommend them. We worked with Cody from Jackson Contracting on having a new roof put on, a new sky light installed, and some siding replaced. Both Cody and his crew were awesome! The price, quality of product, and workmanship were outstanding. Cody kept us informed every step of the way. Couldn’t have asked for better!